NEW benchtop pH/ORP/Temperature meters from HANNA Instruments automatically warn you when your electrode needs cleaning or replacing, when the instrument needs to be recalibrated, and when your buffers are bad. They take the guesswork out of meter maintenance HI 221 and HI 223 are pH/ORP/Temperature bench meters setting new calibration standards. A deep understanding of the pH calibration process can only come from a manufacturer of instruments, electrodes and calibration solutions. 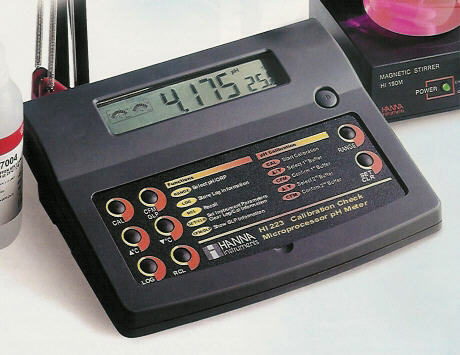 Hanna Instruments is one of a few manufacturers to produce meters, electrodes and buffer solutions. Proper calibration of the pH meter and pH electrode system is critical in order to achieve reliable results and Hanna has developed a new system that monitors the two most important parameters during the calibration process, the pH electrode and the buffer solution: Cal-Check™. This new system warns the users in the event the pH electrode is dirty and if the calibration buffer is out of specification (cross contamination). When a pH electrode is not properly cleaned, even the smallest residues of samples left on the sensitive glass can produce slope errors up to a tenth of a pH unit. A pH buffer solution that has been contaminated can also drift by a few tenths of a pH unit, resulting in erroneous calibration. 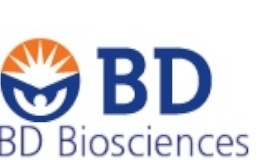 Dirty pH electrodes and buffer solutions cannot be detected by conventional pH meters, resulting in wrong calibrations and subsequent erroneous pH measurements. Hanna's new pH meters have addressed this problem by displaying on the LCD status symbols that warn the user to clean or replace the pH electrode or to replace the buffer solution with a fresh one. This new calibration concept removes the guesswork, and guarantees the user that the equipment is in the best condition. Both instruments have a "log on demand" function to record 100 (HI 221) or 500 (HI 223) readings, RS232 port for computer connection, automatic or manual temperature compensation (ATC or MTC), and an extended range of 7 memorized calibration buffers. HI 221 offers pH readout of 0.01 pH, and HI 223 has a resolution of 0.001 pH.